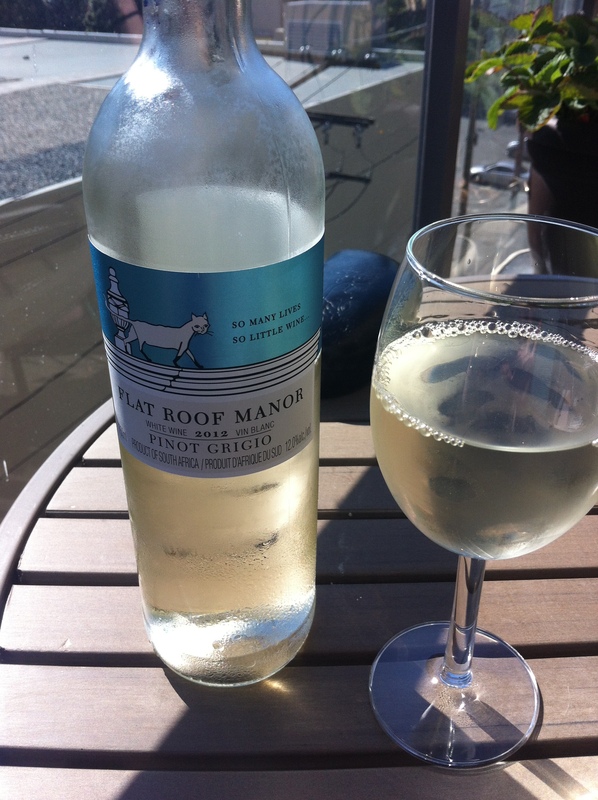 I tried Flat Roof Manor tonight and I have to admit, it’s quite a nice little summer wine. From the playful label with a cat that reads “So many lives, so little wine” to the sweet fruity taste, this South African wine is one that I would certainly drink again or buy as a gift (particularly for a cat lover). This 2012 pinot grigio has a refreshing taste with light tropical flavours of pear, green apple and lemon. It’s the perfect beverage to pair with dinner on a patio or a picnic lunch. As with most whites, this wine goes down easily with lamb, fish, light salads or any shellfish dish. Actually to be honest, this wine would go down just fine by itself too. You can purchase this wine at any BC Liquor Store for $12.99. Colour: Pale yellow with a hint of green. Nose: Dried peach and apricot with a hint of litchi. Taste: With the emphasis on the fruit, the flavours on the nose carry through on the palate. Maturation Potential: This wine is ready to be enjoyed now. Best enjoyed with: Light salads and cold meats.